When it comes to selling a van you’ve got plenty of competition. They are becoming increasingly popular for businesses being the preferred vehicle over a large Heavy Goods Vehicle, quickly increasing the number of vans on UK roads. Statistics show that in 2016 light commercial vehicles travelled 48.5 billion miles on UK roads, while HGV traffic lowered to 17.1 billion miles. Firstly, you need to know the value of your van. The last thing you want to do is overestimate the value of the vehicle and drive customers away, or undervalue the van and lose out on extra cash. The quickest and most convenient way to find out how much your van is worth is by using our online car and van valuation tool, which can deliver a free valuation in under 60 seconds. Alternatively, do some research on what a van similar to yours is up for sale for both online and at car dealerships; be sure to check vans of the same model, the same year and in a similar condition. This should be much easier to do now there are so many vans for sale and will give you an idea of your competition and how much you could get for your vehicle. The logbook is a crucial document that registers a vehicle with the Driver and Vehicle Licensing Agency (DVLA). This is where all the information about the vehicles history is kept, including the year and where it was manufactured, its engine size, colour and its previous and current owner to prove that they have the rights to sell the van. A van, or any other vehicle, cannot be sold without it. This highlights when the car was serviced and at which garage to give an indication of how well the van has been treated. It’s not crucial to have this up to date, but it is definitely recommended. 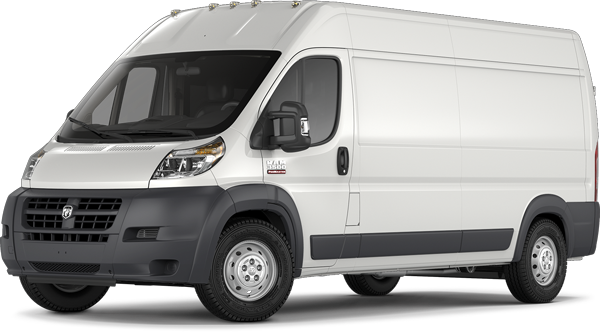 Some buyers won’t consider a van that doesn’t have a comprehensive service history. Legally a vehicle needs to have an annual MOT to ensure it is safe to be on the roads. When selling a van, the MOT certificate needs to be available as proof that the vehicle passed its latest MOT test. If you lose your certificate you can request another one for a small fee from a DVA test centre. There are a few ways to sell your vehicle; either through an online car buying service, part exchange or privately. Whichever way you want to do it is completely up to you, but there are pros and cons to each option. The easiest and most hassle-free way to sell your van is through an online car buying service, like the UK’s favourite webuyanycar.com. Get your free online valuation by entering your registration number into the valuation calculator, take your car to your local branch and you could have the money the same day. Sell your van to a dealership and knock money off your next vehicle via a part exchange. This is another simple way to sell your van, but not quite as quick as you must find the vehicle you want to exchange for prior to the sell. This may make the process of selling and buying easy, but you can lose some of the value from your old van this way. Selling privately is the most time-consuming option of the lot. As the seller you have the power to choose how much you want it to be bought for, but only if you’re not on a timescale. Private sales can often take weeks or even months to complete, not to mention most of the viewings will come during the evenings and weekends. If you want a quick sale and the buyer wants to haggle, you may have to settle for a lower price.